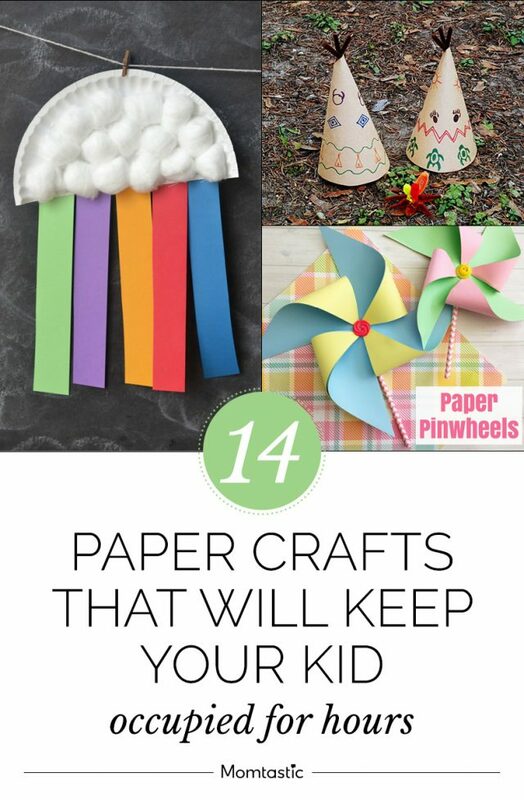 Paper crafts are a fun way to keep your kids busy. I love sitting with my daughters and working on these projects, whether we’re breaking up a long afternoon or avoiding going stir crazy during a rainy weekend! Sometimes I can even get away with setting up a station for them to do paper crafts alongside me while I work (usually on my own crafts). Here’s something else: Paper crafts are a simple and inexpensive (and less time consuming) alternative to visiting the craft store. Many of the materials can be found at home and you can make use of items like toilet paper rolls or paper bags that would otherwise be recycled. These paper crafts stretch the imagination and once made, many of them can be played with for hours on end. Feeling inspired? Try them all!